Here is photo of Skal Labissiere, Haitian Basketball player. 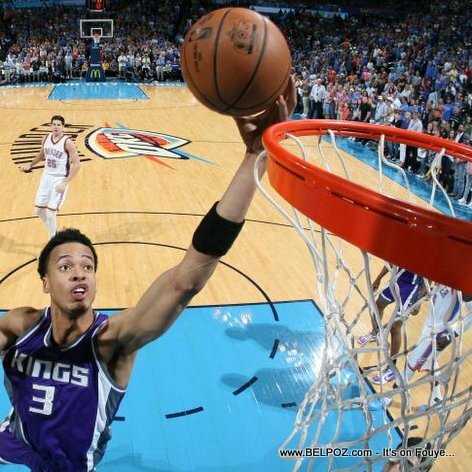 Skal Labissiere is a Haitian professional basketball player in the National Basketball Association (NBA). Skal plays for for the Sacramento Kings. Wanna know how many Haitians are in the NBA? Check out the List of Haitians in the NBA.